The following script will install WordPress. MYSQL_PASSWD is root user password of MySQL. 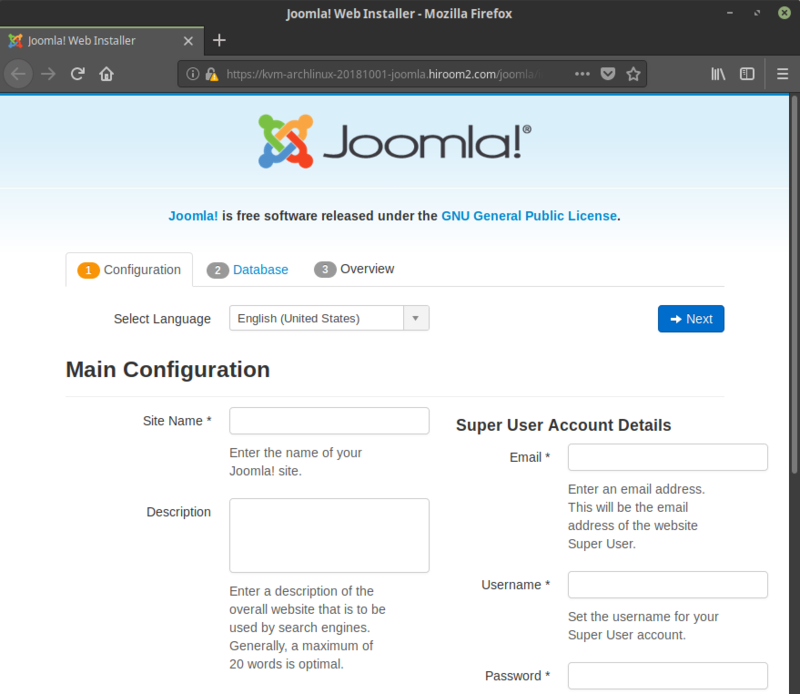 Access to the following URL and setup Joomla. Username of database is root and password of database is MYSQL_PASSWD value.